Highflow Services Property Maintenance - Cleaning Services, Fascia/Soffits/Guttering, Windows/Doors/Conservatories based in Amersham, Buckinghamshire. 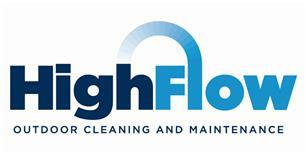 Here at Highflow Services we offer a professional and reliable service to all our clients, domestic and commercial. All of our staff are fully trained and have many years experience. We offer a complete service for all your property maintenance and cleaning needs. Pressure Washing, Patios, Driveways etc..